Definition at line 1199 of file compat.h. Definition at line 1202 of file compat.h. 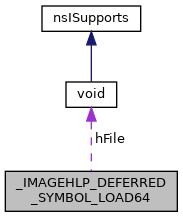 Referenced by pcs_callback(), and reg_cb64to32(). Definition at line 1203 of file compat.h. Definition at line 1205 of file compat.h. Definition at line 1208 of file compat.h. Definition at line 1207 of file compat.h. Definition at line 1206 of file compat.h. Definition at line 1201 of file compat.h. Definition at line 1204 of file compat.h.